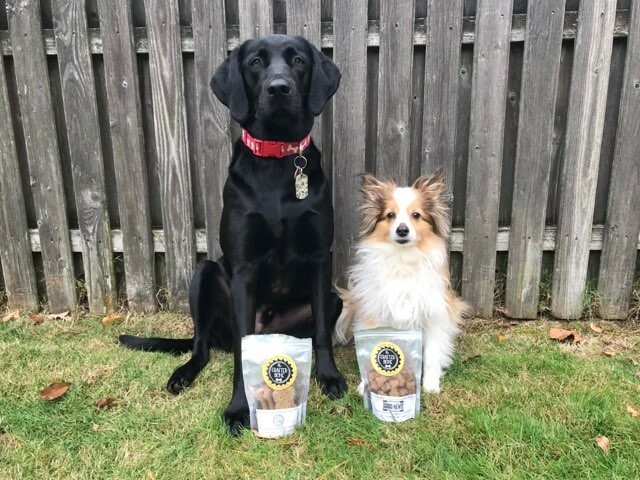 Dogs of all shapes and sizes love these treats! Charles Saso and Kim Meyer, owners of the Crafted Bone (www.thecraftedbone.com, 636-345-4473), started as home brewers like anybody else. But the waste that others took for granted bothered them. "We had all these leftover grains and we kind of felt bad about throwing them out," Saso explains. The two began researching how they could repurpose spent grains, which are a byproduct of brewing. One of the possible uses: dog biscuits. They tried making them for their dog and their friend's and family's dogs. All the dogs seemed to love them, and they realized they could be on to something. There are a few similar businesses across the country, but none in the St. Louis area. "St. Louis is such a great beer city," Saso says. "There are so many awesome breweries around here. They need to have beer grain dog treats." They made their first official treat delivery last December, and with that, launched the Crafted Bone. 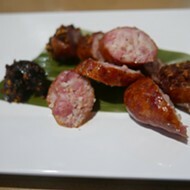 The grains are usually made up of mostly barley. Brewers take these grains and steep water through them, similar to making tea. Ultimately, the liquid that passes through ends up becoming beer, but that leaves the barley behind — spent, but not useless. Usually, breweries either discard these grains or give them to farmers to feed to cows and pigs. "We figured it's much more fun to feed dogs," says Saso. 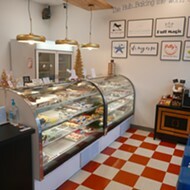 You can buy the treats at many local markets. The Crafted Bone currently collects spent grains from thirteen local breweries and turns them into dog treats in a few simple steps. 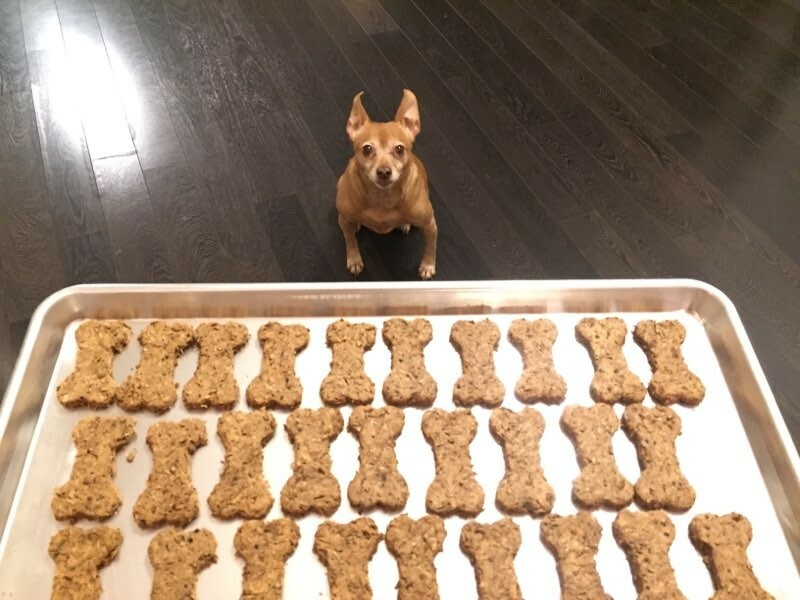 First, they add peanut butter and a little flour and egg to hold it all together; they bake it at a high temperature to cook it, then at a low heat for several hours to dehydrate the treats. The all-natural treats are high in protein and fiber with lots of vitamins and minerals left over from the grains for your dog. The simple, four-ingredient recipe and lack of artificial preservatives or colors means you can't find treats much healthier for your dog than these. Saso and Meyer keep the grains from the different breweries and beer types separate. On each package is the logo of the brewery from which those grains came, so you can stay loyal to your favorite or make sure your fuzzy friend is enjoying the same brand as you. Their slogan is, "Share the passion of craft beer with your dog" — and with these biscuits, you can do it without getting them drunk, too. Saso says, "Hopefully they can have the beers, and their dogs can have the same beer treats, and then everybody's happy." 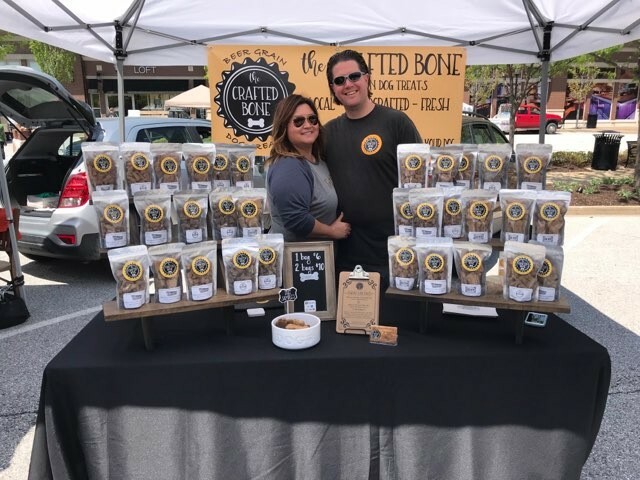 You can buy the Crafted Bone dog treats on their website, at their partner breweries, in a few local shops, and at local events. See their website for information on all of the above. Your dog will be begging for more.